Zoo Bomb. 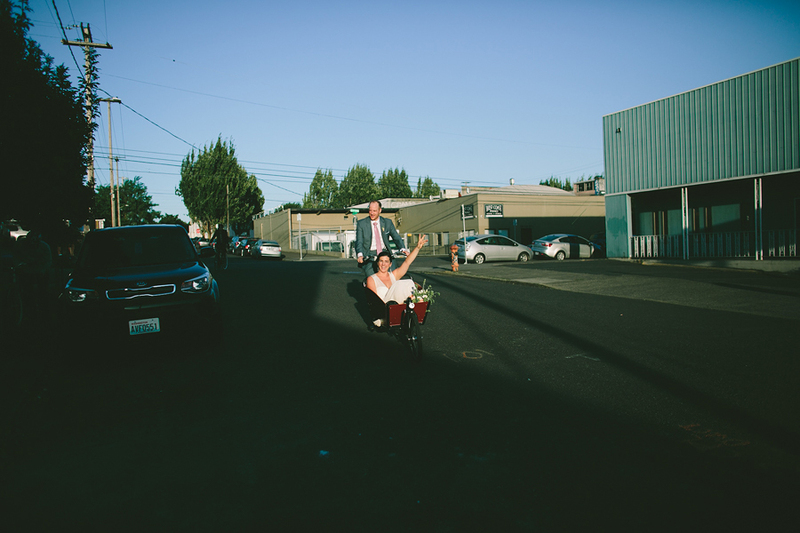 That is what Zach did, WITH his new bride, Clare in a cargo bike. It was amazing and so much fun. I met up with Zach as he rode up to the Hoyt Arboretum and followed his progress along. Then I rode in the back of my car while a wedding guest drove it, and I took photos of Clare and Zach riding from the Arboretum to Union/Pine where their reception was. It was so much fun, this mixture of photography and adventure is what I love and I left their wedding day feeling so inspired. Zach and Clare were awesome, super laid back, warm, caring people, whom I had a blast spending the day with. Zach and Clare, so wonderful working with and getting to know you both!